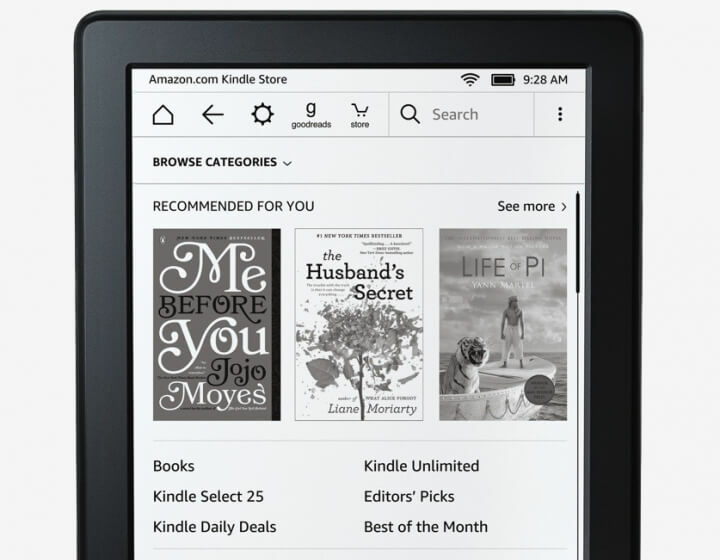 The shift to digital books is well under way, according to an update by Amazon this week. The mega-etailer said that in the last three months, Kindle book sales have far outpaced those of the traditional variety. Without giving precise figures, Amazon said that it's sold 143 e-books for every 100 hardcover books – and there's no sign of that conversion slowing down, either. In the last month, Kindle owners purchased 180 digital books for every 100 hardcovers sold on Amazon.com. Although the transition away from physical media and literature has been a longtime coming, the company said it's "astonished when you consider the fact that we've been selling hard cover books for 15 years, and Kindle books for 33 months." Those numbers include hardcovers that don't have a digital copy, and that says a lot considering the Kindle "only" has access to around 630,000 titles, versus the millions available through the company's site. Also, it excludes the 1.8 million books that are in the public domain. It's believed that paperback sales are still ahead of e-books, but Amazon hasn't revealed those stats.